Hi, My name is Connie. I grew up in Berea and always loved Olmsted Falls where the shop is located. As a crafter and a treasure hunter for many years, my dream was to own my own shop. In 2013, an opportunity came up. I bit the bullet and did what I always wanted to do. 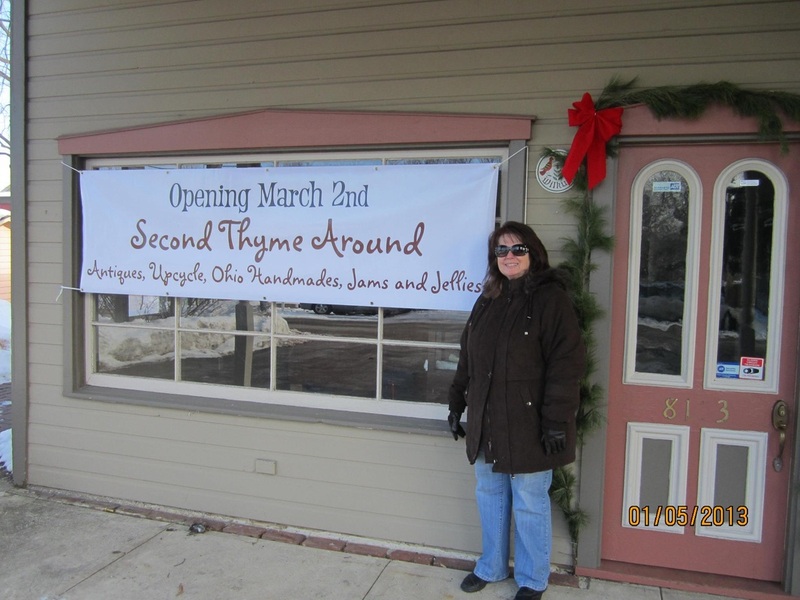 I opened Second Thyme Around in March of 2013. The name Second Thyme Around has been my crafting business name for many years as I up cycle old items into new décor, using many items the Second Thyme Around! We are a co-op establishment where some of our vendors work. We have a great group and consider ourselves family. Our co-op name is the STA Gang! The shop is located in a quaint area of Olmsted Falls called Grand Pacific Junction where you will find restaurants, gift shops, a tea room and some historic buildings. Stop by and say hello and see our unique concept in a shopping experience. I have one son, Derek who is engaged to my future daughter-in-law Pam (September 2014 wedding). It's official 8153 Orchard Street will now be Second Thyme Around! My backyard garden. The before picture was grass and weeds. This is my best friend, Wallie the Walleye. I caught him on June 6, 2014. My favorite Grand Puppy - Max. He just loves the water!